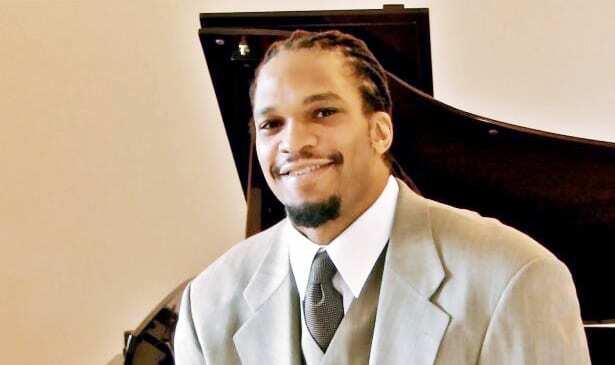 Etan Thomas played 11 years in the National Basketball Association, but he was always much more than just an athlete. An accomplished poet, author and activist, as far back as 2005 Thomas was among the few athletes in any sport to openly voice opposition to US foreign policy, most notably in regards to Iran. He was a 2009 Dr. Martin Luther King Jr. Foundation Legacy Award winner, and the 2010 recipient of the NBA Players Association Community Contribution Award. Since his retirement Thomas has written three books, become a weekly radio talk show host on WPFW in Washington, D.C., had articles published in a host of places, and been an MSNBC special correspondent. He has also always been among the most outspoken people in the athletic ranks when it comes to the notion athletes should concentrate on sports and leave politics alone. Not only has he never accepted that, he rejects the widely held contention contemporary athletes are too afraid of losing endorsements and wealth to be effective voices for social change and justice. Thomas’ latest project is the exceptional new book “We Matter: Athletes And Activism” (Edge). It is a collection of interviews done with not only former and current athletes, but the sons, daughters and relatives of victims of police misconduct. Whether it is Trayyvon Martin’s brother Jahvaris Fulton, Eric Garner’s daughter “Emerald Snipes, Philando Castile’s sister Allysza and mother Valerie, or Terence Crutcher’s sister Dr. Tiffany Crutcher, their testimonies add power and authority to Thomas’ work. The same holds true with his interview subjects that are either still active (Russell Westbrook, Dwayne Wade. Bradley Beal among others), distinguished former players who spoke out in earlier eras (Bill Russell, Kareem Abdul-Jabbar, Oscar Robertson, Craig Hodges), even coaches and executives (Steve Kerr, Mark Cuban) or media members (Bomani Jones, Jamele Hill, Scoop Jackson), Thomas gets strong and articulate opinions on the importance of athletes and entertainers not content to sit by and refuse comment or not participate in movements against injustice. He also respectively disagrees with longtime sports columnist and author Bill Rhoden, whose landmark volume “Forty Million Dollar Slaves” in his view unfairly and excessively skewers current Black athletes for lacking the courage and integrity to speak out on issues. While Thomas does acknowledge not every athlete either will or should be politically active, he says there are far more who have been than people realize, and he feels Rhoden has been too quick to characterize the apathy of a few as representative of all. Other areas Thomas’ book addresses includes questions regarding fan reaction to athlete’s participation and team pressures against those who do. While certainly some athletes like Hodges and Mahmoud Abdul Rauf paid a heavy price in their time for activism, he shows there are many others currently heavily involved who not only haven’t suffered reprisals, but actually have been praised for their activities. In addition, he debunks the notion teams should encourage non-involvement due to possible commercial fallout. He says his experiences show the majority of fans not only appreciate athletic political interaction and involvement, but want to see more of it. There are certainly those who will object, question or ultimately reject the messages and statements in “We Matter: Athletes and Activism.” But for those who don’t see a separation between athletic achievement and social progress, this is a most welcome volume, and another important contribution Ethan Thomas has made to society at large, while he continues to shatter stereotypes about who athletes are, and their impact beyond the court, field or diamond.